Do you ever find as a salon owner that you often operate in isolation because you can’t talk about your staff with your staff? Do you wonder how you can create an amazing peer group of other salon owners that are going to help you succeed? This video is brought to you by Meevo 2 for Millennium Systems International, the only salon and spa software customized for your world, simply better. If you are a salon owner operating in isolation and doing things on your own, the ability for you to brainstorm, mastermind and get together with peers can be extremely difficult. So how do you establish a peer group of other people in your life that will contribute to you and help you grow? I created an acronym that is really easy to remember. Is your peer group pushing you and asking more of you than you ask of yourself versus just a bunch of people sitting around and bitching about business and talking trash about each other and their employees? I don’t want that. I want you to be around a group of people that are pushing you to do more and challenging you to go further than you have ever gone before. It will make a huge difference inside your salon. Are they exceeding the success that you already have? If you are working with people that have less success than you, you are not going to grow as much. You might be great for them, but it is not going to be great for you. So you want to find out if there are at least a majority of people in that group that are exceeding you. If you exceed a couple of them that’s okay, but make sure that at least some of the people inside your peer group exceed you because it will make a huge difference with how much they push and how much they ask of you. Do they entertain you? Are they entertaining? Do you like spending time with them? Think of it this way, you want to be in a peer group of people you would enjoy breaking bread with, having lunch with, going to dinner with and just spending time with. I look at it this way: if you wouldn’t go to dinner with them with your family, why are they in your peer group? Maybe they are not the right type of people you want to hang out with, so why would you take advice from those people? Does the relationship reciprocate? Do you give value and do they give you value? There should be people that are above you, people that are below you and people you can add value to and people you can get value from. And that relationship is a two-way street and it becomes extremely valuable when you can reciprocate inside the relationship. When you do that, you will have an amazing, powerful relationship you can grow in. Inside our High Performance Salon Academy that is exactly what we wanted to create. A community of salon owners that are cooperative and non-competitive. We put boundaries in place so the salon down the street can’t be inside the program. They have to qualify and meet criteria to be there. They have to share numbers and there is a lot of stuff they have to do to be inside our High Performance Salon Academy. But many salons just want to find out how to start networking and get involved with other salon owners that are just like them. So we created a completely free group on Facebook and it is a salon owner community called our Salon Owner Accelerator. It’s an opportunity for you to get together with other salon owners and network with them. We also dump a ton of tools and resources for you to download and use right inside your salon. So do me a favor, CLICK HERE to join our Salon Owner Accelerator group. It’s totally free so I don’t know why you wouldn’t want to do it. You will be able to get instant access to a ton of great resources from us and be able to start to begin to build that peer group around you. So join our group and I’ll see you on another video like this really soon. If you liked this video, head over to our YouTube channel, check out our other great content there, subscribe and ring the bell to get notifications. You can also head over to our Facebook page, click the like button, then hit follow and see first and you will get notified every time we put out another great video. This post was written by Jason Everett of High Performance Salon Academy. Jason’s infectious high energy and drive to make everyone he meets the best possible version of themselves, has landed him on center stage in the Salon Edu-tainment scene. 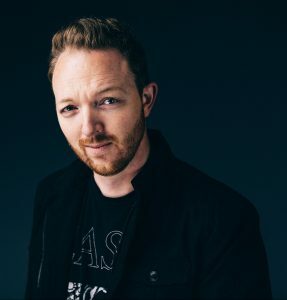 Jason is one of the founders of the High Performance Salon Academy which specializes in taking salons that are already successful and cranking up their success to an 11! Their non-traditional and unconventional approach to learning uses the latest in technology and social media strategies to quickly train and equip the most attention-strained owners, leaders and service providers on how to rapidly implement what they learn.